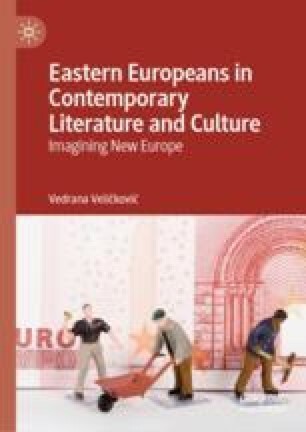 Turning to the work of Eastern European writers (Dubravka Ugrešić, Kapka Kassabova, Miroslav Penkov, and A. M. Bakalar among others), this chapter examines the diverse practices of ‘writing back’ to the stereotypical representations of Eastern Europe/eans. It identifies some of the shared concerns in what will be termed first and second generation postcommunist migrant writing. In particular, it discusses their engagement with memory, home and different attitudes to representing what has been lost in the experience of postcommunist transitions to capitalism. It then looks at the ways in which these writings call upon postcommunist Eastern Europeans not only to unite in a struggle against neoliberal capitalism, but also against forms of cultural racialization that welcome them on their arrival to Western metropolises.